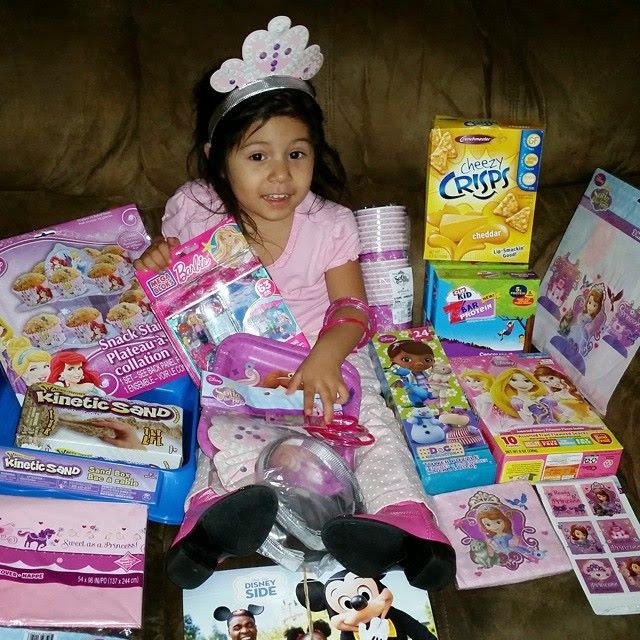 ***Disclosure-thanks to Disney Parks and MomSelect for sending me a Sofia The First Preschool Playdate party kit. All opinions stated are my own based on my personal experience. First we made a list of friends we wanted to share the fun with, and invitations went out. We wanted to find a perfect day for everyone to come and enjoy themselves. I made labels for the water bottles that read "Gia's Royal Water". I made magic wands for each person to enjoy. I made rice krispie crowns too and place them in plastic sandwich bags I found at the dollar store. 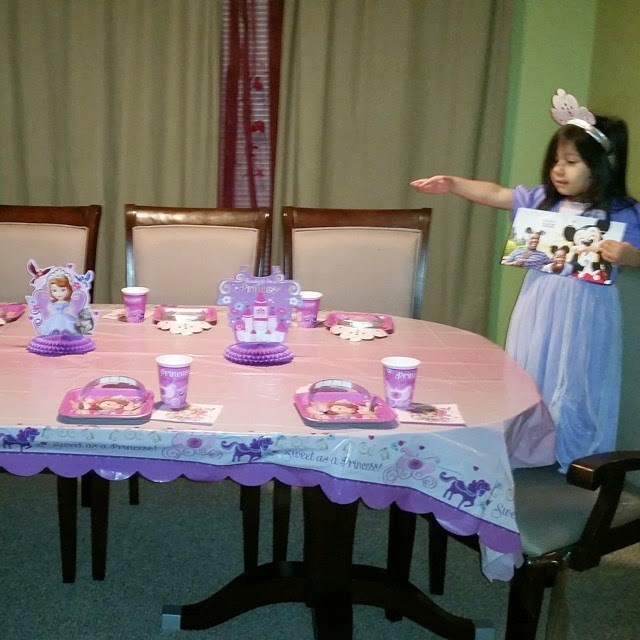 I also covered the cupcake tower that came in the party kit with a custom made Sofia the First sign so it all would match. 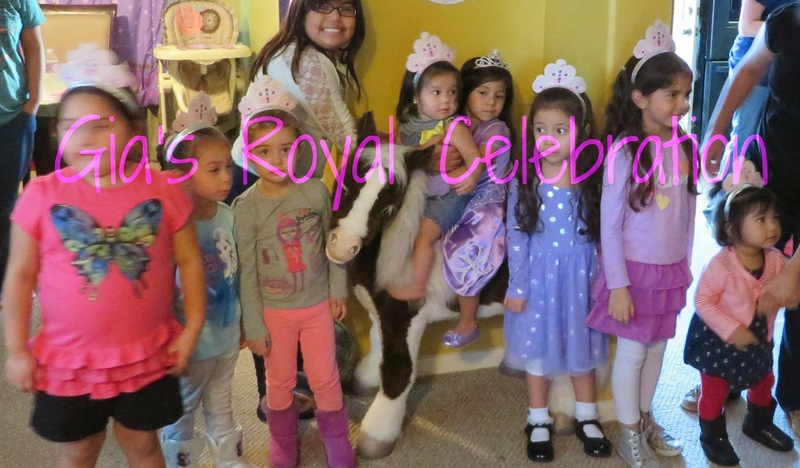 It was all too perfect for the princess and princes showing up to have some fun with us. 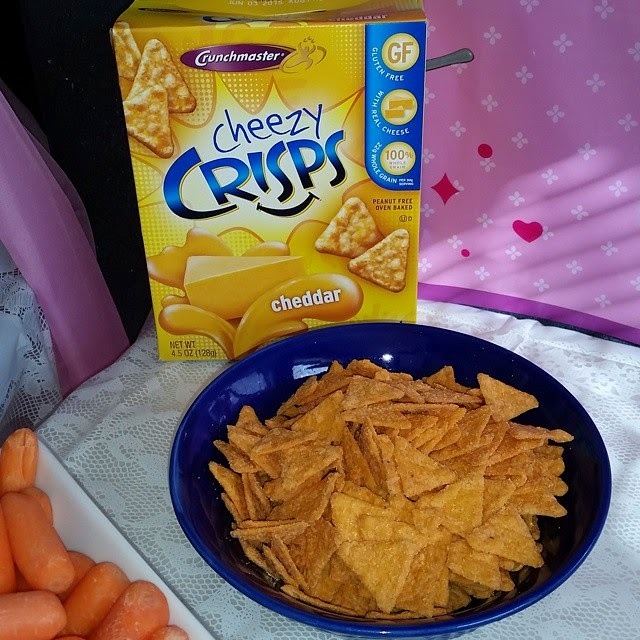 We also sampled some cheezy crisps that are Gluten FREE, whole grain, and actually good. I like how cheesy and crispy they are. What kiddo doesn't like cheese? Playing games is always alot of fun. 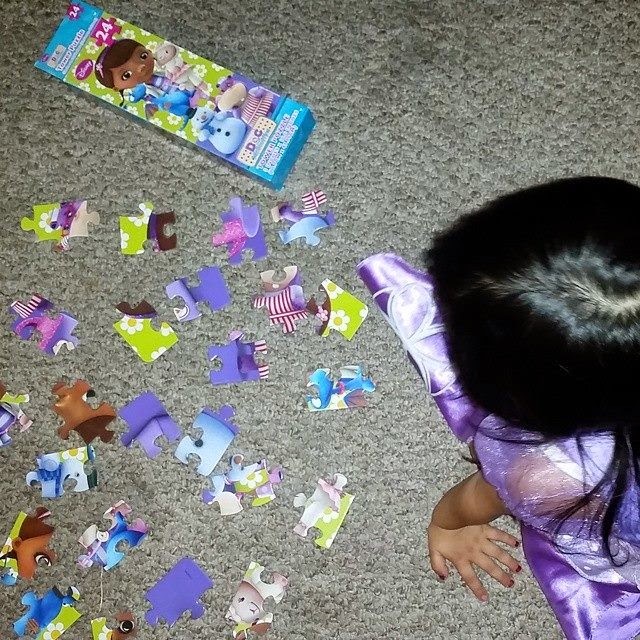 Fun with Doc McStuffins puzzle sure had us thinking hard. Helping the kids find like shapes and matching colors had them working together. These kids have so much energy. Keeping preschoolers busy can be hard most of the time. 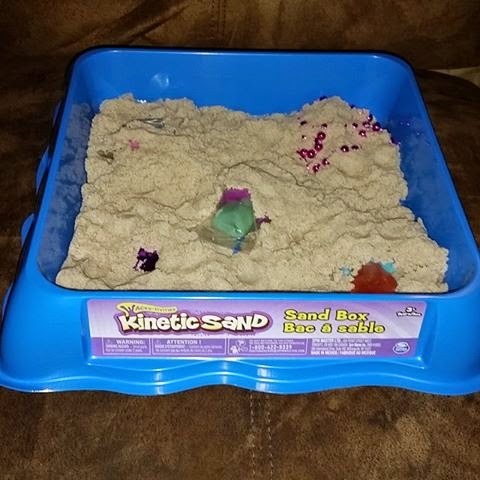 We decided to let the kids dig for gems and jewels in Kinetic Sand. This stuff is amazing. I do not like sand and kids and sand do not mix in my book. But this stuff is awesome. No mess at all. It does not stick to them or make a mess. It does not fry out which is a plus for me. 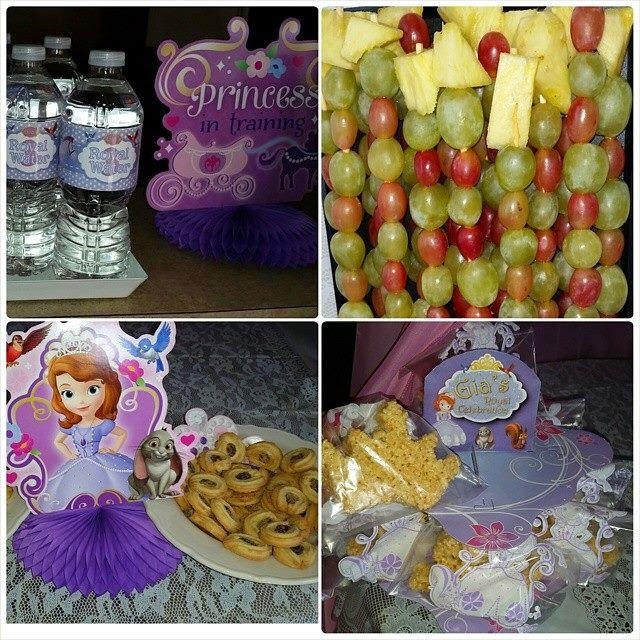 We also watch Sofia the First - The Curse of Princess Ivy. This is my daughter's favorite show. And apparently, she is not the only one. Games, food, and lots of fun....too bad they all had to go home. Playdates are so much fun....especially when my daughter doesn't have any sisters to play with. This is a great way if you need a playmate for your kiddos. You can take turns playing at each others' houses. One of our friend's said mommy needed a break. The holidays are here and these times can be overwhelming for us. But they can also be overwhelming for the kiddos. They are use to their schedule at preschool. Playing with others helps them burn energy they have built inside. Playdates don't have to be a full day. They can be as long as you want them or care for them to be. 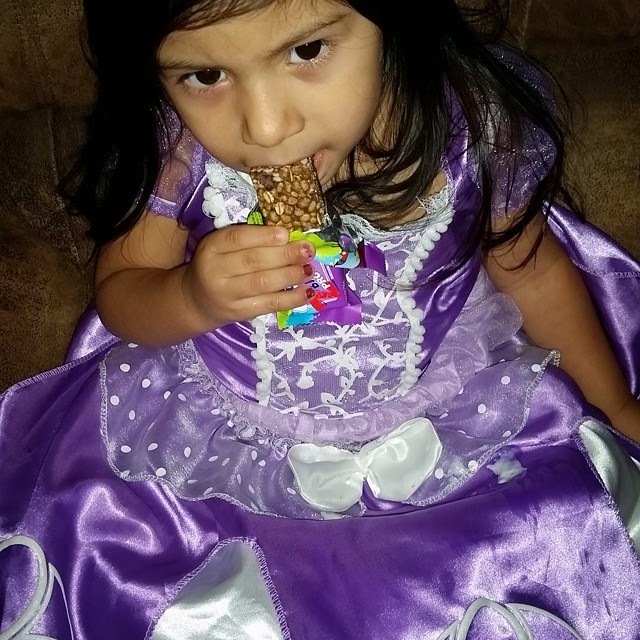 Most of the kiddos did not want to leave our house, but most kids never want to leave our house. I love that our house is a playhouse. We are already planning more playdates with all this Holiday time coming and the kiddos school's being closed. Do you do playdates? What games do you play? What food do you serve?